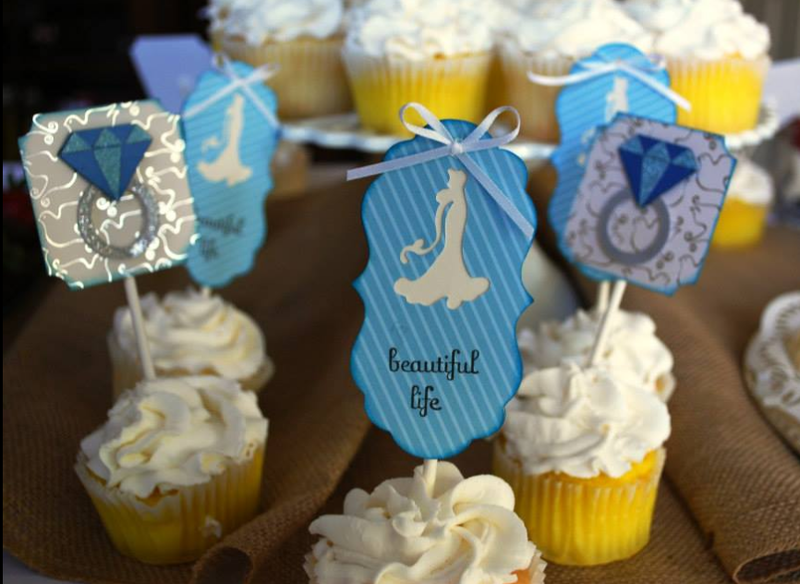 I was recently asked to make cupcake toppers for a family member's bridal shower. I got to have a little fun with this one. I was trying to figure out what shapes to use when my sister in law (the matron of honor) told me the bride's ring is a large blue sapphire. I instantly went to my Cricut Design Space and started looking for the perfect cut. Here is what I came up with. The ring shape is cut from the Once Upon a Princess image set. 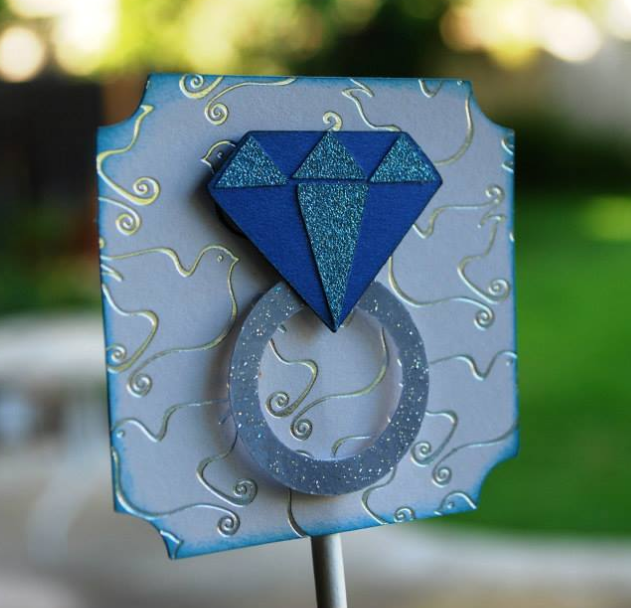 I cut the gem from 2 shades of blue cardstock and the ring from silver glitter cardstock. The backing shape was cut from one of my Martha Stewart cake images. I inked all of the edges with Tim Holtz Distress Ink. I did half of the toppers in this design then mixed it up with a different shape. This shape with the wedding dress cutout comes from the Tie the Knot image set. 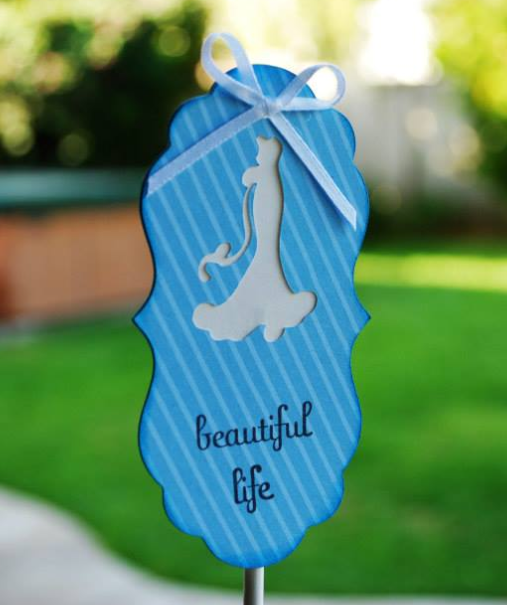 I cut the top layer from a blue stripe paper and a second layer in solid white glitter cardstock to layer behind the blue creating the wedding dress.I stamped the "beautiful life" sentiment in black then inked all the edges in blue distress ink. Here is what it looked like all put together. I think the display turned out amazing! Everyone loved the way the dessert table looked and the bride was so happy. I now have requests for cupcake toppers for a baptism and a charity bake sale. I think I may have a business here! Thank you everyone for hopping by today. Please follow me and come back often for more inspiration.